Location: University of Otago, Dunedin, New Zealand. 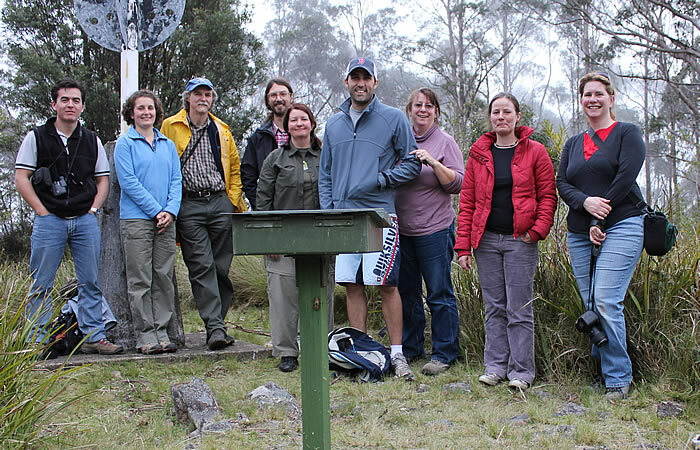 Southern Connection links scientists interested in the natural sciences across the Southern Hemisphere. To date topics have included biogeography, ecology, conservation, ecophysiology, invasions, ethnography, phylogenetics, phylogeography and Earth and ocean processes. The aim is to learn from shared and divergent biotas and cultures, and their histories in different lands and oceans, in order to contribute solutions to sustaining species and ecosystem services. Oceania Pollinator Initiative Meeting was held on February 13th at the University of Melbourne. Attendees: Caroline Gross, Linda Newstrom-Lloyd, Saul Cunningham, Glenda Wardle, Tony, Laura Vary. The group discussed ways of enhancing collaboration through the website. A group of Australian pollination ecologists gathered for several days of research presentations, discussions, field trips and demonstration of pollination biology techniques. 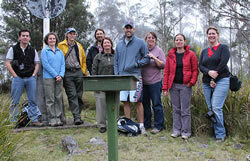 A small but enthusiastic group included: scientists: Caroline Gross (University of New England), Glenda Wardle (University of Sydney) , Susan Hoebee (University of La Trobe), Ross Goldingay (Southern Cross University, Brisbane) and students: Penny Nelson (University of New England ), Steve Chivers (UNE), Tony Popick (U Sydney), Scott Groom, (Flinders Univ, South Australia), .and Emma MacIntosh (University of Sydney). Techniques: video equipment and methods, Susan Hoebee talked about genetic work using microsatellites, good discussion about gene flow, two fantastic walks on to the top of Mount Hyland, and one to Guy Fawkes National Park where the photo of the Eastern Spinebill was taken in the canopy of a flowering Grevillea beadleana. 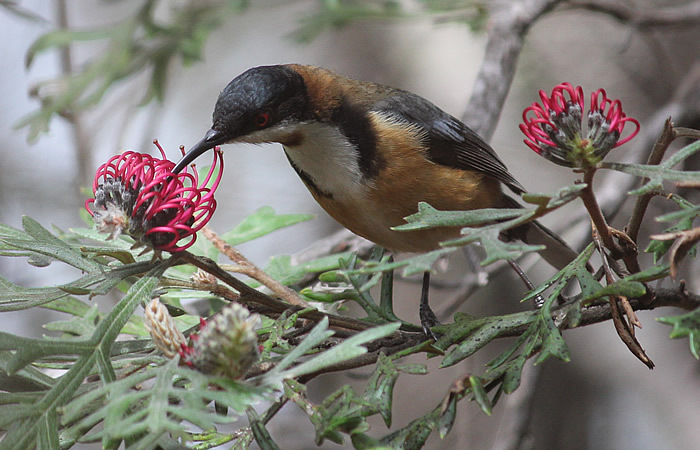 Pollination – The Ecology of Ecosystem Services, Pollinator Declines and Monitoring. Co-chairs Dr Caroline Gross (UNE) & Dr Linda Newstrom-Lloyd (Landcare Research NZ). Pacific Science Intercongress. Papers presented in Ecosystems, Biodiversity and Sustainable development. We held an OPI meeting as a side event at this conference. Ecological Society of Australia. Symposium organizers, Drs Glenda Wardle, Yvonne Davila and Simone Simpson, Pollination Interactions. Contact Yvonne Davila [y.davila@usyd.edu.au] and Simone Simpson [ssimposn@une.edu.au] for more information.